"Superb service and always a warm welcome. " The 2016 Motor Trader Awards acknowledge and reward best practice across the car retail industry. Following our success from winning the 'Franchised Car Dealer Group of the Year' at the Motor Trader Awards 2014, Cambria Automobiles (www.motorparks.co.uk) are delighted to announce that we won the prestigious Digital Initiative of the Year Award at the Motor Trader Awards hosted at the Grosvenor House Hotel in London’s West End on Wednesday 13 July. 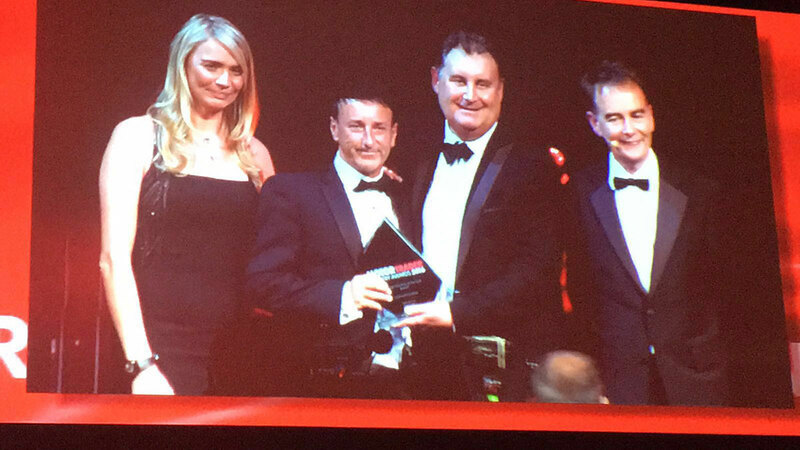 The highly prestigious Motor Trader awards are recognised as one of the primary benchmarks to measure performance in the trade, held before an audience of more than 1,200 industry leaders. The judges were looking for best practice examples of how digital platforms, including social media, mobile apps, online video and live chat, have been used as part of a dealer’s digital marketing mix to help drive sales. Entrants needed to provide examples of successful campaigns and include URLs where applicable on how they enhanced and improved the consumers online experience with great content. We are extremely pleased and very proud to be recognised as one of the industry leaders for this award and being highly commended for our Website which will continue to deliver our guests a leading world class experience however they choose to contact us. Thank you to everyone involved and congratulations to all the other category winners.